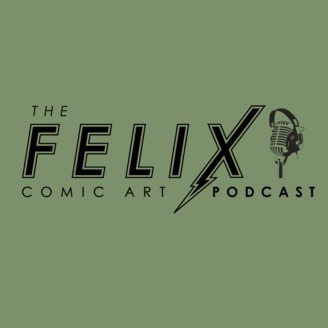 It's the return of your favorite irregularly released show all about original comic art: The Felix Comic Art Podcast! Join artists Daniel Warren Johnson, Ryan Ottley, and Stephen Green as they lead a roundtable discussion sharing their views on original art, including how they collect, what they look for when they buy, commissions, their grails, and just geeking out on their favorite fellow artists! Featuring cameo appearances from Paul Pope, Geoff Shaw, and James Harren! 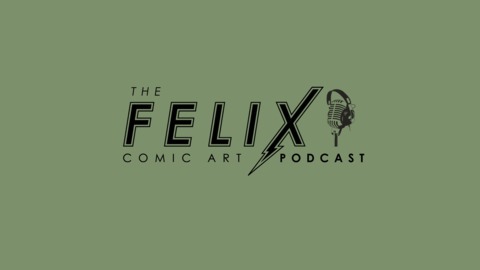 Check out our website, www.felixcomicart.com, and be sure to sign up for the newsletter. Exclusives every month just for subscribers! Follow us on Twitter, Instagram, and Facebook. Leave a rating/review for the show on iTunes. Thanks and enjoy this all-artist roundtable!